The basic requirements for this shading exercise are — an egg to draw, a sheet of paper (I used office paper), a soft pencil, and an eraser. For best results, choose a quite smooth paper — a fine, hot-pressed paper will allow you to create a very finely shaded surface. I've used office paper, so the texture is quite coarse. Try a cold-pressed watercolor or textured pastel paper if you'd like to experiment with grainy textures. For this exercise, I've chosen a simple, soft 6B pencil, which gives the traditional grainy shaded look. If you prefer a finer, more realistic surface, use hard pencils which will give you more control over the tone, and will fill the grain of the paper more evenly. A strong, directional light from a single lamp or window helps make the highlights and shadows clear. Try to adjust the light in your room, draw the curtains if need be, and change the distance from the window or lamp until you get a good balance of highlight and shadow. A white egg would be best, but I only have a brown one, so that's what I'll draw! Another great first subject for practicing sketching and shading is a piece of fruit. Take a look at this easy first drawing lesson featuring a simple pear. Observing the subject carefully is an important part of the drawing. Take a few moments to observe and think about composition, form, light, and shade before you start drawing, even with a simple subject. This will save you from having to make major changes to your drawing later. Here's a photo of the egg in this exercise. Note the core shadow, highlight and reflected light. 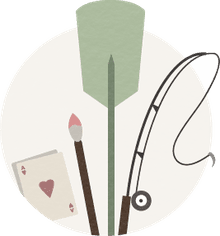 There are more places where there are shadows and small highlights or reflected lights, and observing the fine detail will make your drawing more realistic. It seems like a very simple subject, but take your time and observe the subtle changes across its surface. In many ways, a simple surface like this is more challenging than a complex one, because there is no detail to 'hide' variations or errors in value and shading. Outline or not? That's always a tricky one. It's a useful exercise to draw without lines and go straight to shading, but I usually like to use a very light line to place the objects in my drawing. It's important to use a very light touch so you don't dent the paper and can completely and easily erase the line if you wish. For more on the difference between line and tone in the drawing, check out the introduction to value drawing. Drawing an oval is tricky. Remember this exercise is about shading, so don't obsess about the shape too much if you're a beginner. It can help to turn the paper so your hand is on the inside of the curve as you draw. I usually like to lightly indicate the shadows and highlights — when drawing around the highlights, leave some space so you aren't drawing in a clear white area. Note that this image is darkened a little for on-screen viewing — you should only just be able to see the lines on your page. I like to start shading the darks first — it allows me to get some tone onto the paper quickly and helps to establish the tonal (value) range of the drawing so that lighter areas don't end up too wishy-washy. I've done this fairly quickly, using a basic back-and-forth shading technique, though 'rounding' the return strokes off and varying the length so that the edge of the shaded area doesn't create a solid band. 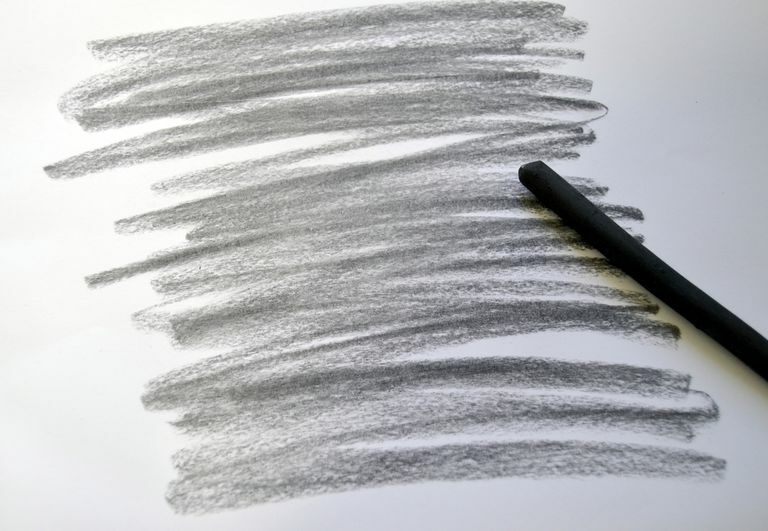 For more on shading stroke methods, check out this introduction to pencil shading. Once the darkest areas are shaded, I quickly add some more tone using an overhand grip and shading with the side of the 6b. Normally, I use pencil-tip shading, but in this case, I want the grainy look of side shading to suggest the texture of the eggshell. I like to keep some drawn-line texture in my drawing, but I try to make sure that directional lines make sense, wrapping around the object or suggesting changes of the plane — don't just shade at one random, meaningless angle across the whole surface. If you prefer a more detailed, realist look, you'll need to take your time and be careful to make the edges of your shaded areas very soft, lifting the pencil off towards the end of the stroke. If you've applied too much pencil, use a kneadable eraser in a dabbing motion to lift, rather than rub, the graphite. To finish the drawing, I add more dark tones, and use the eraser to lift out and re-work some lighter areas. Pay extra attention to reflected light — depending on your choice of background, the strength of the light source and the color of your egg, yours may look quite different. Notice how the darkest area is the band of shadow around the side of the egg, just below the widest part — closer to the paper, it brightens a little due to reflected light — and then the very dark area where it touches the surface. The quality of cast shadow will vary too, with some reflected light from the egg lightening areas, and the edges may be crisp, diffuse or it may have multiple shadows depending on the light source. So draw what you see! For an alternative and very useful approach to this exercise, try drawing an egg in white chalk on black paper.